There are many reasons why folks like to call Kansas City their home. When you consider the friendly neighborhoods, great schools and terrific restaurants it’s easy to see why anyone would be happy to move here. However, there is one perk that many outsiders aren’t aware of and that’s all the great spring festivals that pop at this time of year. In fact, it’s hard to find a weekend where there isn’t something terrific going on in Kansas City or throughout the state. Take for instance Snake Saturday Festival. This is an Irish celebration now in its 28th year that has become an event everyone in Kansas City looks forward to. The festival starts out with the parade leading folks to carnival rides, food booths and a car show. For the kids there is a petting zoo and pony rides along with live entertainment throughout the festival. This is the perfect kickoff for all the spring festivals that follow. On the long list of festivals to look forward to is the Truman Heritage Festival, the Mushroom Festival, the Apple Blossom Festival, the Weston Bluegrass Festival and the 50 miles of art. Kansas City has even gone a little Hollywood with its own local film festival that features works from residents and filmmakers from around the world. If you live in Kansas City it’s clear you’ll have a lot to plan out in the coming weekends. However, there is one task that could prove to be a stumbling block to you enjoying all of these wonderful festivals and that would be the need to clean your home. We’re not talking about a quick dusting and sweeping but the kind of floor to ceiling spring cleaning that you should go through at least once a year. 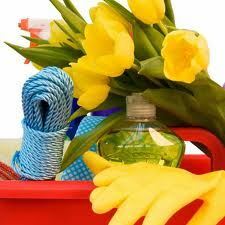 To really accomplish a complete spring cleaning you have to take an “all hands on deck” approach to the mission. This means enlisting everyone who lives under your roof to the same task of cleaning. It makes sense that anyone with their own room should be in charge of cleaning that room. As for the common areas like the living room, kitchen or bathrooms these can be designated so that everyone has their fair share of cleaning assignments. The areas where your family members might want to avoid are the junk zones. This would be those rooms in your home that have become the proverbial dumping ground of all kinds of junk. The reason no one wants to tackle these rooms during spring cleaning is that it just too much to deal with. That’s why you should bring Junk King in on your Kansas City Junk Removal spring cleaning plan. Junk King is a local Kansas City owned and operated business that specializes in junk removal of any kind. Cleaning your home also means cleaning out the clutter and this can have you amassing huge piles of garbage that won’t fit in your weekly garbage pickup. Junk King KC can step in and fill the gap by hauling away that garbage in one load. As soon as your junk is cleared out and your home is clean you can tackle the important tasks of enjoying all those wonderful spring festivals! This entry was posted in junk king kansas city, kansas city junk removal, KC Junk Removal, Spring Cleaning and tagged Junk King KC, Kansas City events, kansas city junk removal, Kansas City Spring Cleaning, KC junk hauling on March 27, 2012 by Mike Stroud. Last updated August 2, 2017 .